Award-winning burger bistro, HBurger, has brought their culinary creations from Denver to Boulder’s own Pearl Street. 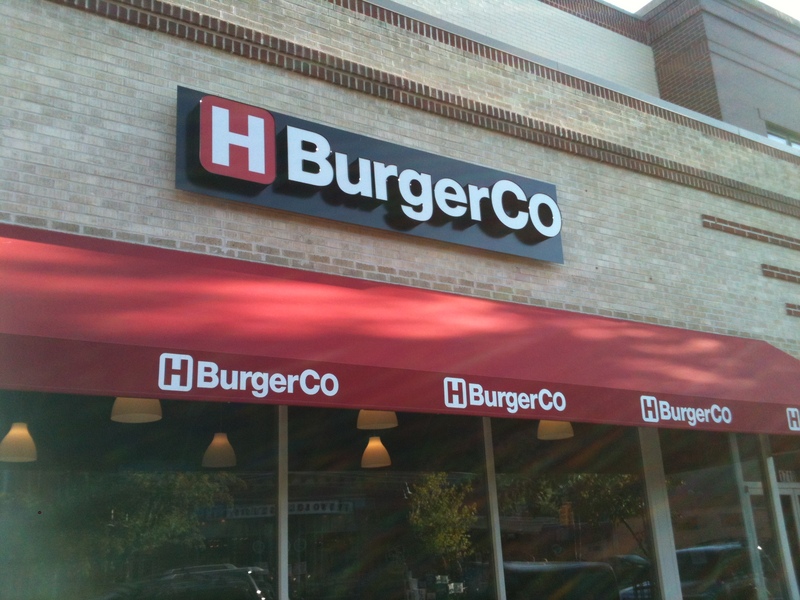 With the addition of the Boulder location, HBurger now has 3 different restaurants. The interior sports a very modern rustic look, including a long bar countertop with a huge open grill. Large ‘H’ signs decorate the walls, reminiscent of something in an old western bar, coupled with mounted widescreen TV’s that gives the space a fresh look. Quality is usually associated with a high price. But with HBurger, there are several options in eating delicious food for a fair price. Their back-to-school student special includes a 5oz standard burger, fries, and a drink for only $6, better than most student deals found on the Hill. Non-students can also enjoy a 5oz burger, fries and a Coors light for only $7, and the quality of the burger is reinforced with their use of an open grill. There’s something about being able to see your food being grilled in front of you. The sense of comfort that you get from seeing fresh food getting cooked instead of settling for nuked mystery meat at the golden arches. This authentic burger bistro produces one of the best burgers in the Denver area, year after year, according to the annual Denver Burger Battle. There are always 3 things I look for in a quality burger. The bun, the quality of meat, and of course, the taste. HBurger patties are all freshly ground 100% Angus beef, and their fries, hand cut. I asked for my burger to be cooked medium, which was cooked to perfection. The bun was puffy and heavenly. Overall the burger was very flavorful and juicy, leaving just enough room in my stomach to eat the fries. The French fries came with a special HBurger sauce, which tasted something like a garlic aioli, also very delicious. Overall the experience was very good. The deals, along with the widescreen TV’s and great food, makes it a perfect environment for students to watch a game, get a few drinks, and chow down on some seriously delicious burgers. Their great location on 17th and Pearl conveniently makes it walking distance from the CU campus, and I will definitely be making another trip there soon. Previous Previous post: WholeVine: Wine is Great, But There is So Much More!